Importers of goods, freight carriers and others are often required to post a U.S. customs bond when conducting business. The U.S. Customs & Border Protection (CBP) agency requests this bond as a guarantee that importers and anyone partaking in import-related operations will operate in accordance with the agency’s and other agencies’ regulations. The bond also serves as protection for the public. It guarantees the payment of any duty, tax or charge and compliance with law or regulation as a result of activity covered by any condition referenced in Section II of CBP Form 301. When importing goods for commercial purposes, valued above $2,500 a customs bond (also referred to as CBP Form 301) has to be posted by importers as well as by international carriers who transport freight or passengers. Commodities for which a customs bond has to be provided include foods as well as hazardous objects such as firearms, though these are overseen by other government agencies. There are exceptions to these regulations and importers should always consult the CBP to determine if they are required to post a customs bond, and if so, for what amount. There are also two types of customs bonds, depending on the type of imports. See ‘Questions about Customs Bonds’ below for more detailed information. The protection which a customs bond provides is guaranteed by the surety bond company underwriting it. If an importer, the bond’s principal, is found to have disregarded regulations on imports or on taxes, the obligee (the CBP) can file a claim against the bond. If there is good reason for the claim, it is the surety’s duty to compensate the CBP for all financial losses which have occurred as a result of the principal’s violation of regulations. Who needs to obtain a customs bond? Importers of commodities and goods for commercial purposes, carriers of freight and passengers as well as warehouse operators and facility operators are often required to obtain a customs bond. Whether a customs bond needs to be posted or not depends on the type of goods being imported or stored, their value and their amount. For items valued over $2,500 a customs bond is usually required. It is always best to consult the CBP if in doubt whether to post a customs bond or not. 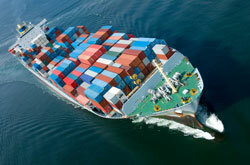 If you are posting a single entry bond, its amount is typically equivalent to the minimum declared value of your cargo. A continuous bond’s amount, on the other hand, is determined depending on the taxes and duties you have paid during the past year. The amount of a continuous bond is never less than $50,000, though. Once you know the full amount of your customs bond, the surety will provide you with a rate at which you can obtain this bond. When calculating the cost of your customs bond, the surety will take into account your personal credit score. Applicants with high credit scores usually receive a customs bond rate which is between 1%-4% of the total customs bond amount. What the exact cost of your bond will be depends on the specifics of your case. Want to apply for a customs bond? To receive a free quote and get your customs bond simply apply online. We will then contact you with the details. Do you have any questions about customs bonds? Call our surety bond experts at (877)-514-5146 to have your questions answered or receive further advice. We are here to assist you!